Ok, cool. I won't worry about the lead substitute then. After doing some research and looking under the car I have a good list of maintenance that I need to do, but I'm going to have to park the car untill I can get wheels and tires. The tires on the car right now were made in 1994, so they aren't exactly safe. I also had one of the coolant hoses split and leak out a bunch of coolant on my way to work the other day so I just went ahead and ordered a whole new cooling system (hoses, heater valve, and radiator). As far as tires go I think I'm going to go with some 235/75/15's and some small amount of lift to clear them (possibly an OME kit, not decided yet). Also, forgot to mention that the car came with a bunch of lead substitute for the fuel. Do these have problems with unleaded fuel or was that just the previous owners being paranoid? I tried searching for this but came up empty. 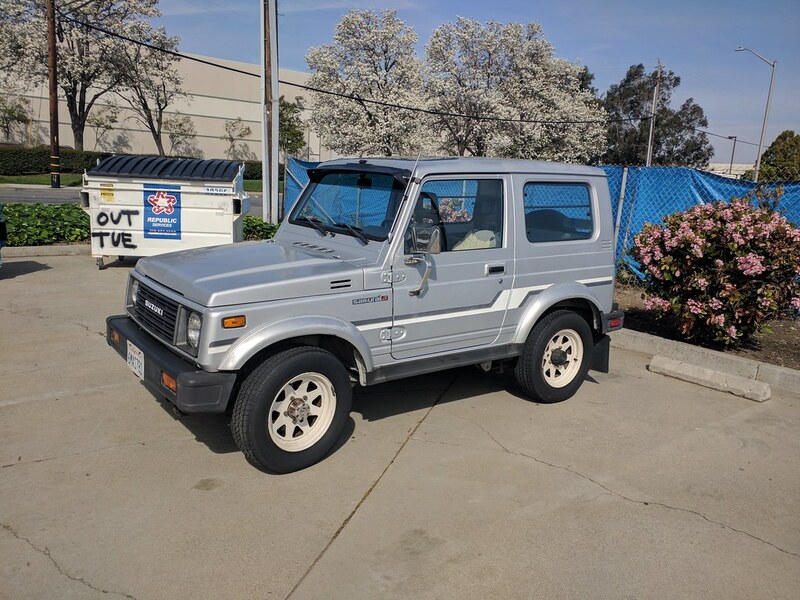 Hi everybody, this last weekend I picked up this '86 Samurai from some family friends (they had owned it since new). They were moving and wanted to see the car go to someone who would enjoy it so I got it for a pretty good price. The most it was ever driven in the last ~10 years was to go get smogged every two years, but it passed every time so the registration is current. Because of this lack of driving it only has 83k miles on the clock. Thus far I've just started doing all the normal maintenance stuff (need to do some searching here to figure out what the trans, diffs, and t-case take for fluid) but today it passed smog with flying colors so needless to say it runs well. 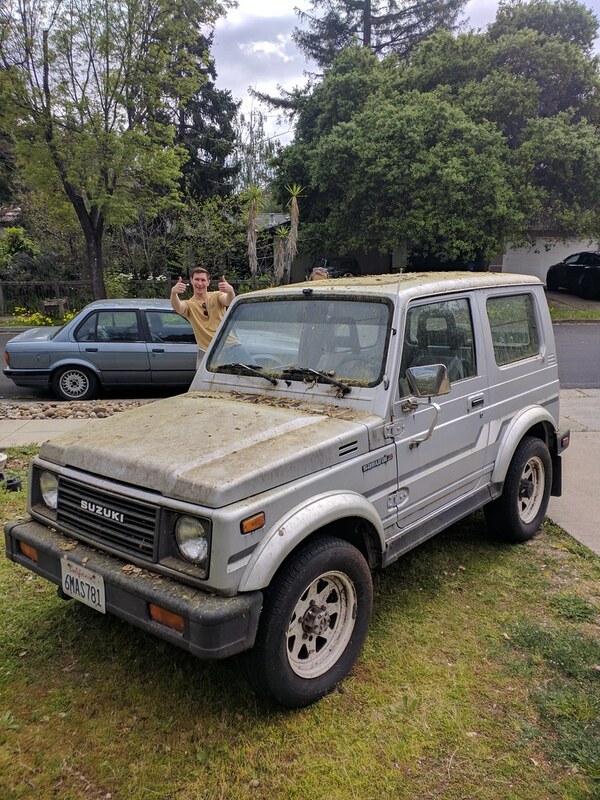 I'm new to offroading and Suzuki, so I was hoping to leave it stock and have some fun in the dirt, but with the limited tire choice for the stock size some buddies of mine who do some offroading have suggested I raise it enough to fit a more common size tire underneath it. I just need to figure out what the minimum lift I can get away with is as I would like to keep it as stock as possible for now.